Hosting a baby shower? Baby shower invitation etiquette will help you get your invitations ready to go. You will see how simple the process really is. The best way for you to begin, as the hostess of a baby shower is to contact the mother-to-be. Timing for this is good around month 5 or 6 into her pregnancy. By this time she should know the gender of the baby (if she chooses to find out). This will also allow you ample amount of time to set a good date, get the guest list in order and plan for shower itself. Some mothers-to-be prefer to have the shower before the baby arrives. It adds to the excitement of the coming baby. If this is the case, good baby shower etiquette will have you set the date 4 to 6 weeks before she is due. 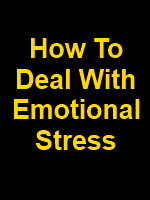 Since babies like to come when they are ready, this can offset any early or late arrivals. If your mom-to-be would rather wait until after baby comes, plan for 4 to 6 weeks after the due date. This will give her and the baby time to recover after all of their hard work. These types of showers are becoming more popular as moms love to show off their little bundles of joy to their family and friends. If you know the gender of the baby, baby shower invitation etiquette will showcase this right away. If the mom has chosen not to find out, then neutral colors (yellow, green, purple) are the best way to go. It has become increasingly popular to create your own invitation. These are fun and unique and great keepsakes for the baby book. If this is the way you choose to go, a good idea would be to find out the theme the mom-to-be has used in the nursery and base your invitation on that. If you are not inclined to create your own invitation, there are so many cute invitations available to choose. The guest list will come from the mom-to-be. The size of guest list will depend on your budget and the amount of space that you will have available to you for the shower. Some showers are held on a more quiet and intimate level, allowing for a few family and friends to come, while others are fun open-house style that include everyone the mom-to-be can think of. 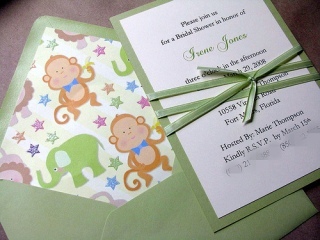 Baby shower invitation etiquette has you sending out the invitations 2 to 3 weeks before the date of the shower. This allows for the guests to purchase their gifts, as well as making arrangements to be in attendance. The information that should be included on the invitation is: date, time, address of the shower location (include a map if needed), names of the parents-to-be, your name, your phone number and RSVP information. If there is more than one host of the shower, list the name of the host first who has the shower at their home and then the others after in alphabetical order. A cute invitation will kick off a great shower with just the right pizazz. Good baby shower invitation etiquette will get you started off on the right foot.